2014 is winding down, and Wall Street is starting to distribute forecasts for next year. But that means it is also time to start taking a look back at 2014. While the S&P 500 has outperformed most Wall Street forecasts this year as it surged to record highs, the biggest story in the market is oil. 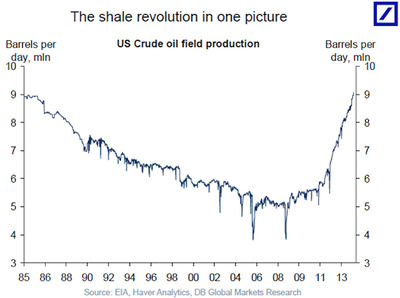 Crude oil prices have fallen more than 30% from their highs earlier this year, and while people have attributed this tumble to a number of things, there is one thing that cannot be ignored: US crude oil production has been exploding. 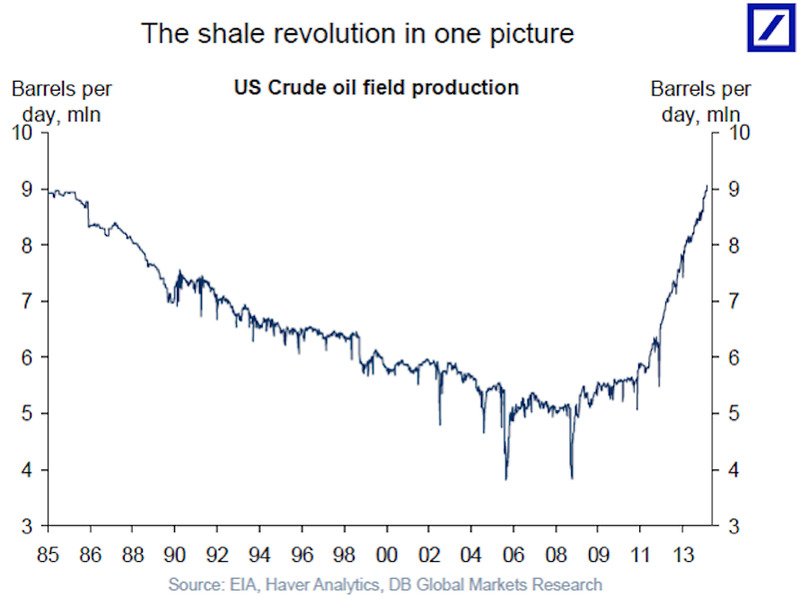 In an email Thursday, Deutsche Bank economist Torsten Slok sent around the following chart, showing the explosion in US crude oil production over the last few years. On Twitter, Bloomberg’s Joe Weisenthal said this chart should be nominated for Time Person of the Year, and others argued this is the most profound economic event in decades. But we’ll keep it simple: this is the chart of the year.